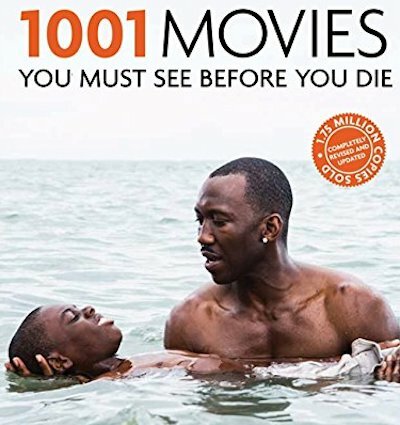 1001 Movies You Must See Before You Die, edited by Steven Jay Schneider, has been revised for 2017. The new edition, updated by Ian Haydn Smith, features a dozen new films. Therefore, twelve films have been deleted. 1001 Movies was first published in 2003, and has been updated annually ever since. It was completely revised in 2013, though other editions (2004, 2005, 2006, 2007, 2008, 2009, 2010, 2011, 2012, 2014, 2015, and 2016) featured only minor changes. The new films in the 2017 edition are: I, Daniel Blake; Manchester by the Sea; La La Land; Hell or High Water; The Jungle Book; 13th; Under the Shadow; Jackie; Toni Erdmann; Arrival; Moonlight; and Victoria. The deleted titles are: Slumdog Millionaire, Black Swan, A Separation, Life of Pi, Ida, Under the Skin, Leviathan, The Look of Silence , Whiplash, Bridge of Spies, Straight Outta Compton, and The Big Short.